Flat 1, 7 Allez Street is a well presented ground floor flat located within strolling distance from the local amenities of the town centre. The accommodation itself comprises of a spacious lounge, kitchen, bedroom and a bathroom. This property boasts from its own private rear garden. 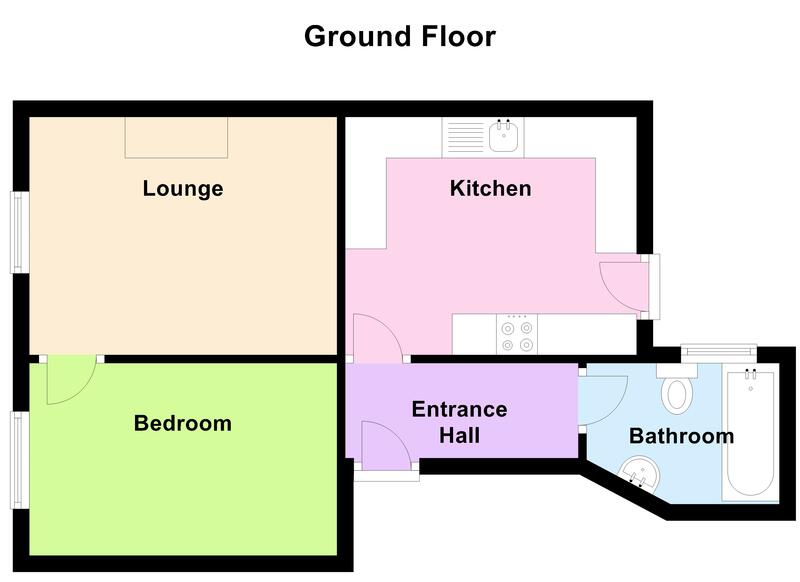 This property would be ideal for a first time buyer or as an investment buy-to-let. The communal fee is £30 pcm. Contact Cranfords today on 243878 today to book your viewing! 11'8'' x 9'6''. Appliances include Hotpoint oven with 4 ring hob, Hotpoint dishwasher and Hotpoint washer/dryer. Mains electricity, water and drainage. Double glazing. Electric stand alone heaters.